Here is a image of the constellation Perseus. This picture is special, because it has Comet Holmes in it. Taken with my Panasonic DMC-TZ1, f/3, 60s exposure time, 6mm (38mm equivalent on 35mm camera), ISO-80. 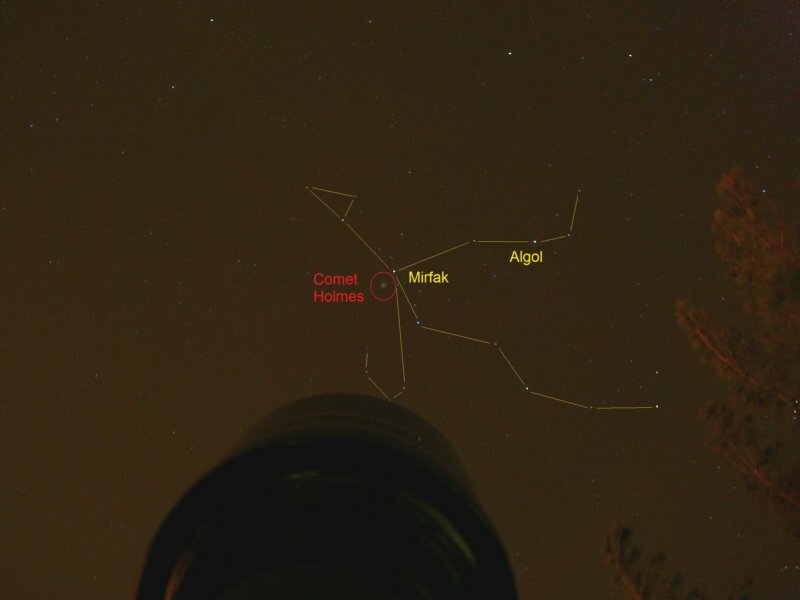 Comet Holmes returns every 6.9 years. Taken on 11-13-2007.